Indian athletics is entering an uncharted territory as the country’s middle and long distance runners will be in Bhutan for four weeks for high altitude training as part of preparations for the upcoming Asian Games. A 17-member Indian team, along with three coaches and a masseur, will train at the Thimphu Track and Field Centre from May 21 to June 20. They are flying into Bhutan today from Bagdogra airport in West Bengal. The Indian team comprises the likes of Sudha Singh, PU Chitra, L Suriya, Lakshmanan Govindan, Gopi Thonakal, Ajoy Kumar Saroj and Jinson Johnson. 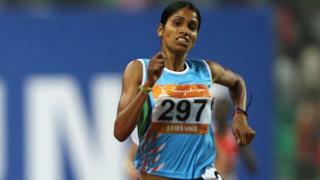 They are the second batch of Indian track and field athletes who left the country for foreign training. A 14-member team of quartermilers (both men and women) left for Spala in Poland on May 14. Bhutan has no athletics credentials — not even in Asia — and is a minnow in South Asia also, but the height of the training centre (above 2500m from sea level), its good synthetic track and the low cost, have attracted the bosses of Athletics Federation of India, and the Sports Ministry has given clearance for the trip. Interestingly, this facility has an India connection. According to AFI officials, former Indian Olympic Association President Suresh Kalmadi had played a big role in laying the synthetic track at this training centre when he was a member of the IAAF Council. The synthetic track was laid in 2012 through IAAF funding.